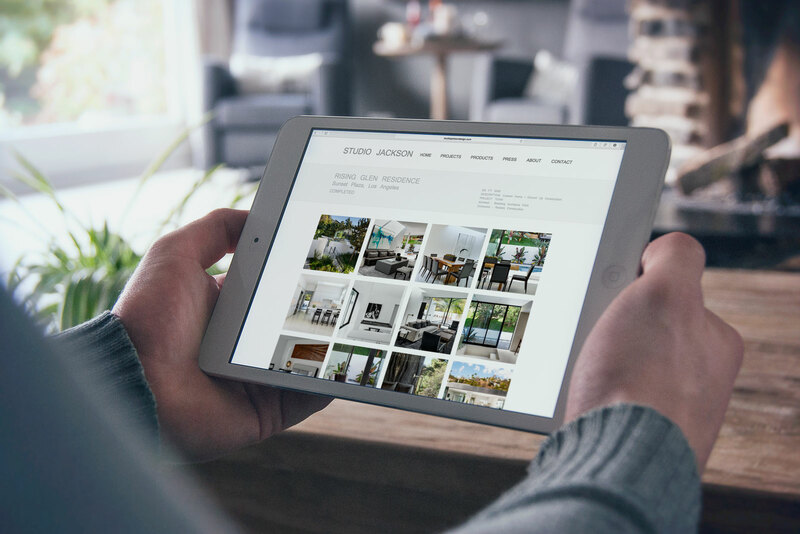 Studio Jackson Inc provides their client’s design related services from concepting their custom designed project to placing the perfect accent piece. Studio Jackson is lead by principal designer Ryan Gordon Jackson, who brings to his projects a passion for the designed environment. Mr. Jackson’s website is a reflective of his sleek and minimalistic style. Custom project grid display showcasing his latest projects. Press Page displaying publications that feature his projects, including Azure, Luxe, and Interior Design. Product Page to display a rug line in which he partner with carpet and textile designer Anthony Monaco.